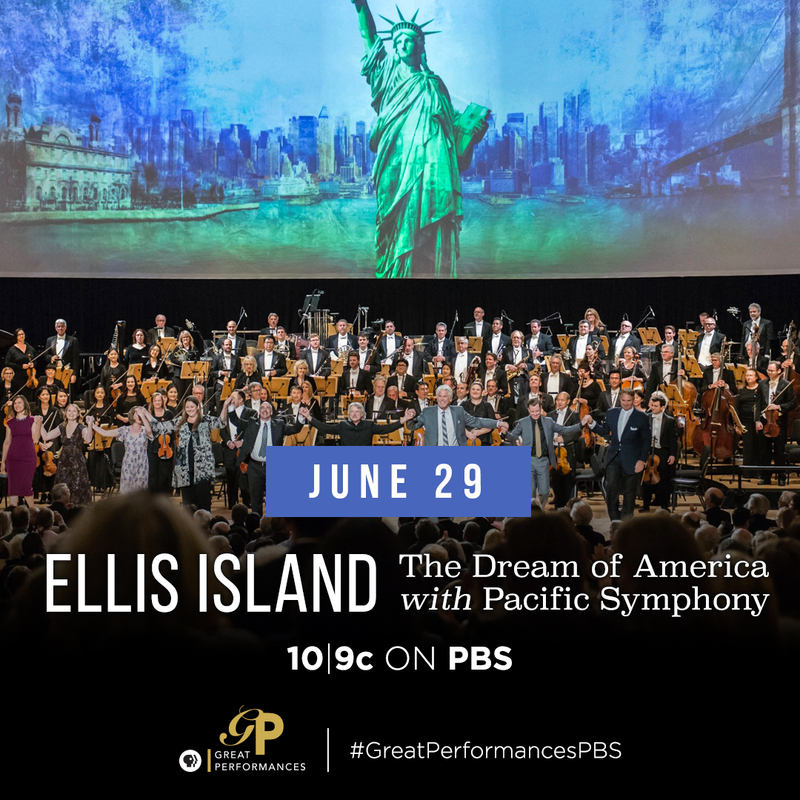 The long-awaited national telecast premiere of Peter Boyer’s Ellis Island: The Dream of America with Pacific Symphony on PBS’ highly prestigious Great Performances series took place on June 29, 2018. Approximately 300 PBS stations carried the show, which had been filmed in live performances at Costa Mesa’s Renée and Henry Segerstrom Concert Hall in April 2017. The PBS Ellis Island premiere received extensive press coverage around the United States, and Boyer gave some twenty interviews for television, radio, newspaper and online coverage. Links to several of these articles follow. More information about the Great Performances show can be found here. The show is anticipated to have repeat broadcasts by individual PBS stations over the next three years.